W.J. Burley started life as an engineer, and later went to Balliol College, Oxford, to read zoology as a mature student. On leaving Oxford, he went into teaching and, until his retirement, was senior biology master in a large mixed grammar school in Newquay. 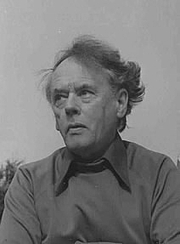 In 1966, at age 52, he created Inspector Wycliffe, setting the series of books in his native county of Cornwall. They were adapted into a television series in the 1990s. He was working on his 23rd Wycliffe novel, Wycliffe's Last Lap, when he died in 2002. W. J. Burley is currently considered a "single author." If one or more works are by a distinct, homonymous authors, go ahead and split the author. W. J. Burley is composed of 4 names. You can examine and separate out names.